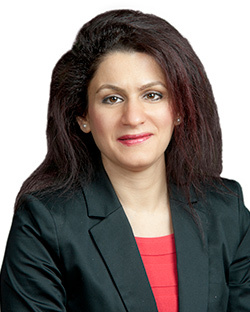 Professor Hengameh Saberi’s main areas of interest are international law,international legal theory and history, jurisprudence, disability law and human rights, philosophy of pragmatism, and Islamic political and legal thought. She has previously taught at Brown University, University of Tennessee College of Law, Boston University School of Law, and Harvard University. Prior to joining Osgoode Hall Law School in July 2012, she was a post-doctoral fellow jointly at Harvard Law School’s Institute for Global Law and Policy and the Harvard Law School Project on Disability.